Look at this 2014 Mazda Mazda6 i Grand Touring. Its Automatic transmission and Regular Unleaded I-4 2.5 L/152 engine will keep you going. This Mazda Mazda6 comes equipped with these options: Window Grid Antenna, Wheels: 19" x 7.5J Alloy w/Platinum Silver Finish, Valet Function, Trunk Rear Cargo Access, Trip computer, Transmission w/Sequential Shift Control w/Steering Wheel Controls, Tires: P225/45R19 AS, Strut Front Suspension w/Coil Springs, Steel Spare Wheel, and Smart City Brake Support and Rear Collision Warning. Test drive this vehicle at Cavender Buick GMC West, 7400 West 1604 North, San Antonio, TX 78254. 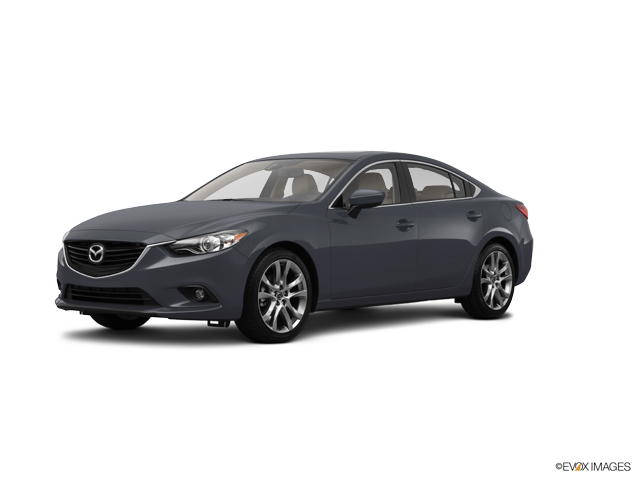 Look at this 2016 Mazda Mazda6 i Touring. Its Automatic transmission and Regular Unleaded I-4 2.5 L/152 engine will keep you going. This Mazda Mazda6 comes equipped with these options: SONIC SILVER METALLIC, BLACK, LEATHERETTE SEAT TRIM, Window Grid Antenna, Wheels: 19" Alloy, Variable intermittent wipers, Valet Function, Trunk Rear Cargo Access, Trip computer, Tires: P225/45R19 AS, and Strut Front Suspension w/Coil Springs. Stop by and visit us at Cavender Buick GMC West, 7400 West 1604 North, San Antonio, TX 78254.